This 1,800 s.f. space has exposed brick and a warmer palette, which lent themselves to our client’s second office in this historic, trendier area. The long, linear space proved challenging in housing the request for seven patient areas, laboratory, two private offices, three administrative areas and reception area. 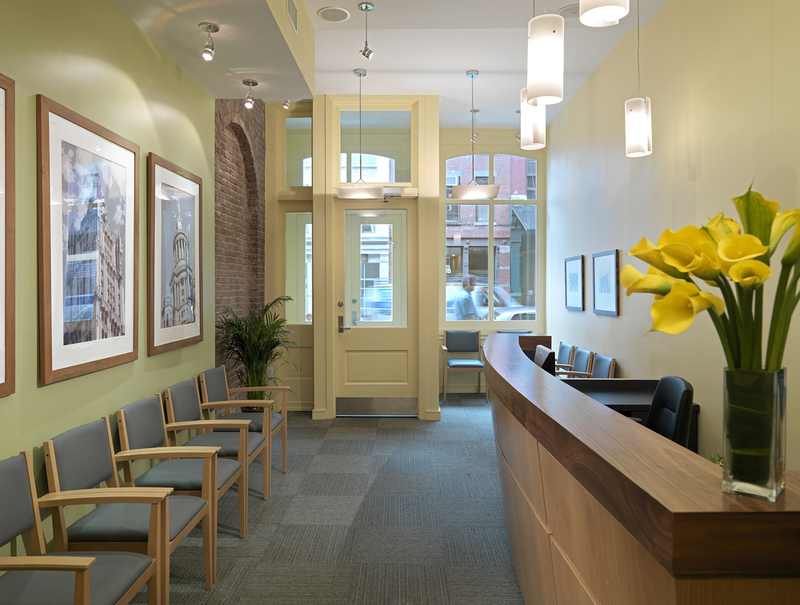 Always up to the task, RRA packed a generous warm style and functionality into the design, while adhering to the specific requirements unique to this successful dental practice. 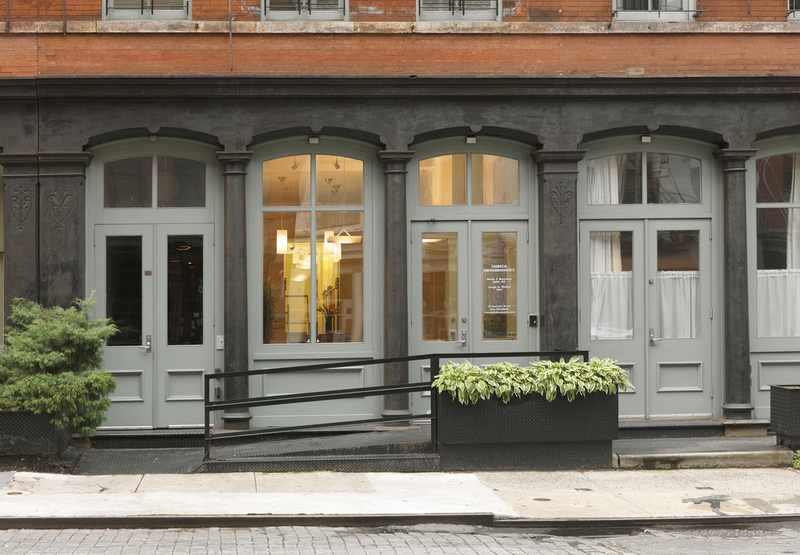 Upon entering the space, the large arched window welcomes visitors. The reception desk, curved softly in natural oak and walnut, guides them to the private patient areas, which is separated by textured resin panels. Private administrative areas are defined with sliding doors hung from exposed barn-door hardware. Dental chairs required to be at specific angles are accommodated, including accompanying equipment, cabinetry and lab area. The corridor terminates at a split-level stair directing one either up to the private office and laboratory, or down to the basement storage and server areas. Finishing touches throughout the office engage a warm, earthly aesthetic by using strand grain bamboo flooring, river rocks set in resin on the bathroom floors and warm yellow and green tone paints. The space uses environmentally sensitive materials, as well as recycled finishes, providing the perfect complement to the philosophy of the practice.